The Contemporary Art Collection includes outstanding works of art from 1945 to the present moment. The Museum has actively purchased work by living artists over the past 30 years and this period is one of the strengths of the collection. Many artists represented in the contemporary art collection were major artists at the time the Museum collected their work. These include such artists as Philip Pearlstein, Robert Rauschenberg and John Chamberlain. 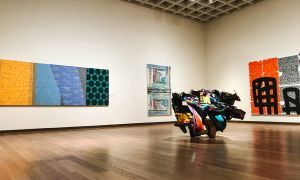 Others were prominent mid-career and emerging artists who have continued to earn significant recognition since the Museum acquired their work. These include such artists as Jennifer Bartlett, Nick Cave, Lesley Dill, Jane Hammond and James Casebere. The American Collection also includes an extensive collection of prints from the 1960s to the present. 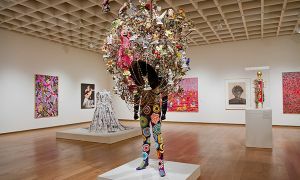 The Contemporary Art Collection is the largest section of the Museum’s permanent collection and it has grown due to early and continued interest by the Museum’s membership and the community at large. The Collection began with important early gifts from individuals that included paintings, photographs and prints. In 1975, the Museum began the Contemporary American Graphics Collection with a grant from the National Endowment for the Arts. This Collection has continued to grow with support from the Orlando Museum of Art’s Council of 101, which operates a program to fund the acquisition of prints. In 1985, the Orlando Museum of Art’s Acquisition Trust was formed. This membership-based organization contributes annual dues to fund the acquisition of Contemporary art produced after 1960. Additionally, many individuals in the community have made important gifts of art or have funded purchases.